Bluehole PNIX’s multiplayer arcade hit Mini Golf King is now even more feature-packed. The wacky golf sim already boasted more than 30 courses packed with quirky features such as bomb traps and hidden bonuses, and now it includes an all-new way to play and a bonus item that will do wonders for your form out there on the course. 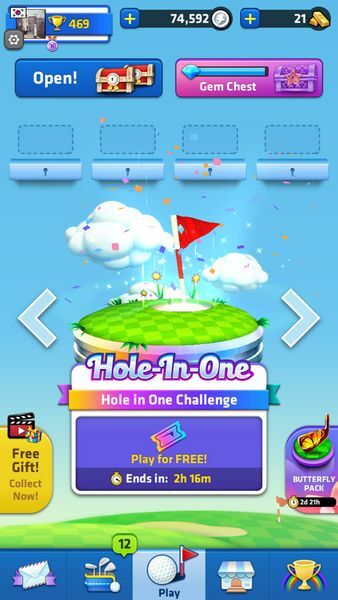 Hole-In-One Challenge is a new game mode which tasks players with sinking the ball on each course with only a single shot, rewarding them with bonuses every time they hole a ball. Mini Golf King has also introduced the Golf Pin power-up, a special item that can be found in the in-game store and chests. With this equipped, players’ swing will really pack a punch thanks to increased wind resistance, extra spin and increased distance, among other enhancements. 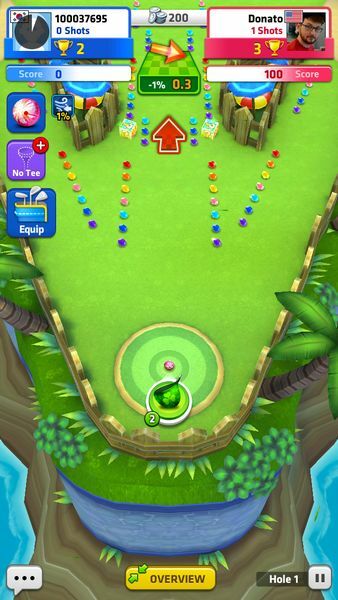 As was the case before the update, Mini Golf King lets players compete with friends and family over an internet connection for the chance to win coins and trophies, as well as scale the leaderboards. The game is available to download for free via the App Store and Google Play.